This pair of sessions form the first half of a Supporting Core Maths Work Group, collaboratively delivered by the AMSP, STEM Learning, and Yorkshire Ridings Maths Hub. The first session, led by the AMSP, will explore key concepts. The optional second session, led by Yorkshire Ridings Maths Hub, will extend and explore these concepts in greater depth. The second half of the work group is scheduled for 4 and 7 February 2019. Participants will gain maximum benefit from attending both pairs of sessions, but are welcome to just attend one. During this session, the AMSP will cover planning Core Maths lessons, problem solving, and resources. 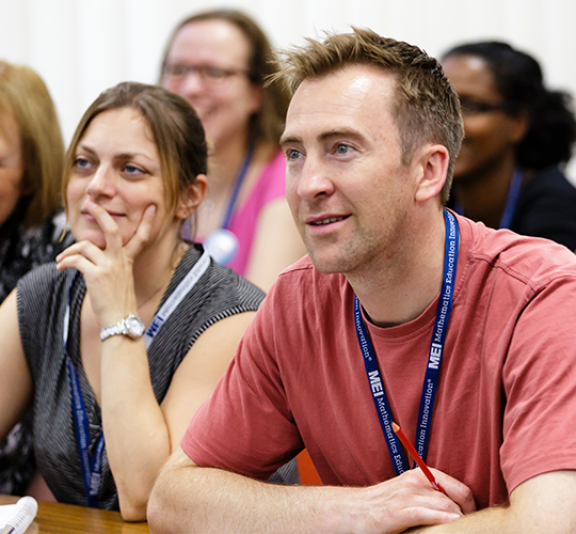 During this session, Yorkshire Ridings Maths Hub will investigate modelling problem solving, take a detailed inspection at a variety of problem solving resources and effective modes of delivery in the classroom. We will reflect on the experiences of the group members and explore the issues that surround this aspect of the specification. Paticipants will gain most benefit from attending all four sessions in this series, but just attending individual sessions is an option. Participants hoping to take part in the second session on 29 January will need to attend the first session on 14 January. We advise participants attending the first session to also attend the second session, but there is no requirement to do so. Participants will gain maximum benefit from attending both this pair of sessions and the pair of sessions organised on the 4 and 7 of February, but attending just one pair is an option.